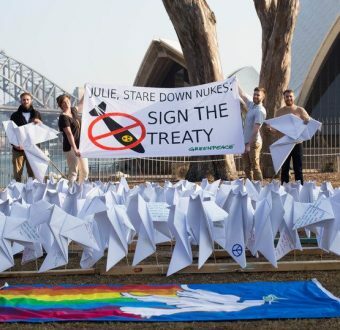 Historic treaty banning nuclear weapons opens for signature: Australia where are you? When the first British nuclear test explosion in South Australia on 15 October, 1953 shook the ground, an oily radioactive black mist spread fear and acute radiation sickness among the people living at Wallatinna, Yami Lester was just a young boy. At 7am this morning, 149 origami peace doves carrying thousands of messages for peace took flight in front of the Sydney Opera House. 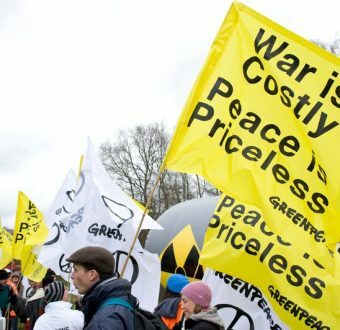 ReachTEL conducted a survey of 1,669 residents across Australia on behalf of Greenpeace Australia Pacific. 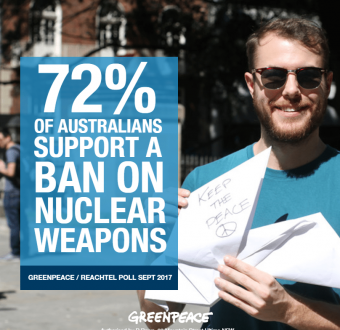 The survey on Australian’s attitudes towards nuclear weapons was conducted during the night of 13 September 2017. 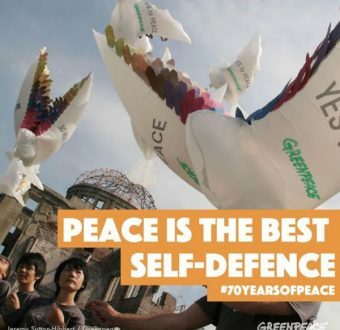 On this International Day Against Nuclear Tests, Bunny McDiarmid, Executive Director of Greenpeace International, reflects on 46 years of fighting against nuclear weapons. 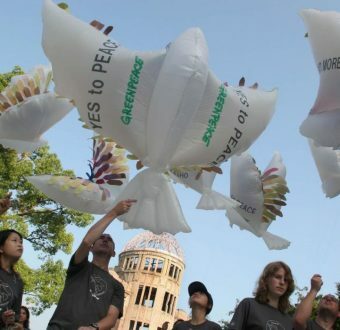 Over the weekend at the UN Headquarters in New York, a global treaty banning nuclear weapons has been adopted. 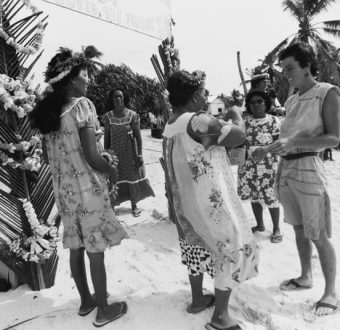 This treaty would ban nuclear weapons. But will the world take it? 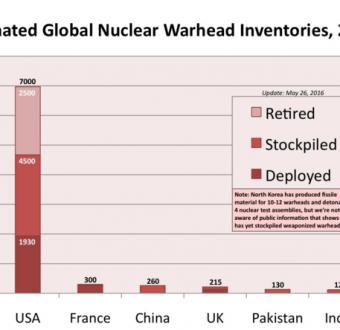 In early December, the nations of the world are poised to take an historic step forward on nuclear weapons. Yet most Australians still haven’t heard about what’s happening, even though Australia is an important part of this story – which is set to get even bigger in the months ahead. 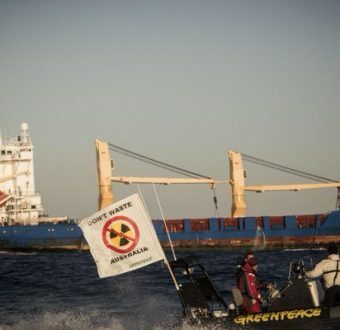 When a Greenpeace investigation found that nuclear waste returning to Australia by ship from France has been classified as high-level waste by French authorities, contradicting Australia’s claims over its radioactivity, we knew we had to act. 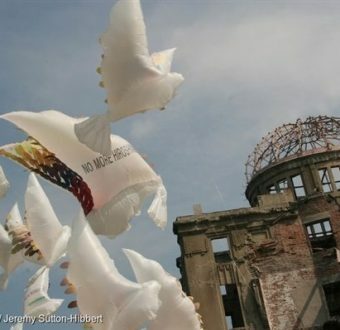 Japan’s nuclear history reflects humanity’s capacity for destruction – and peace.